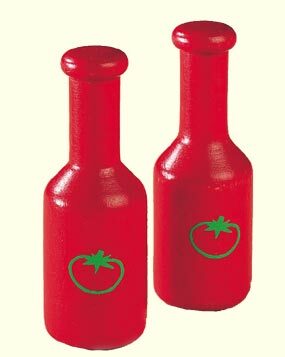 Bright red wooden ketchup for kitchen or market play. European beech painted with non-toxic paint. Measures 3.7" tall.